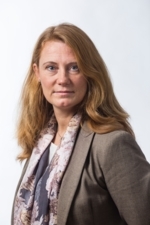 NATIONAL DIALOGUE: ‘This year’s Nobel Peace Prize winner is an example of a national dialogue process that seems to have contributed to preventing a potential civil war in Tunisia,’ says Pernille Rieker, NUPI. 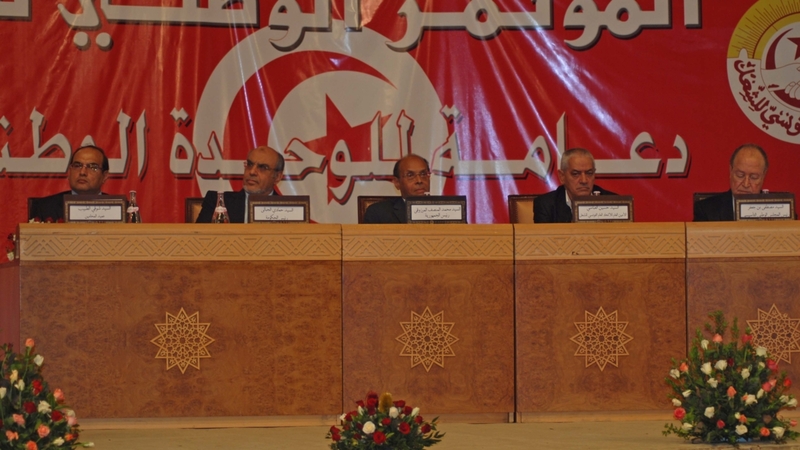 The image shows a dialogue meeting in Tunisia in 2012. Dialogue as a synonym for negotiations, or the informal processes - 'back-channel diplomacy or 'Track 2 diplomacy' - intended to do preparations before more formal negotiations ('Track 1') take place. Dialogue as a synonym for talks between central representatives of various community member groups intended to create understanding. A broader definition containing several peace building processes intended to contribute to reconciliation between parties. On 9 October, it was announced that the 2015 Nobel Peace Prize would be awarded to the Tunisian national dialogue quartet ‘for its decisive contribution to the building of a pluralistic democracy in Tunisia in the wake of the Jasmine Revolution of 2012’. 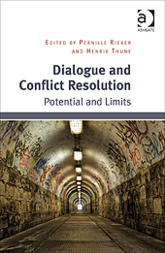 In the recent book Dialogue and Conflict Resolution, edited by Pernille Rieker, Senior Researcher at NUPI, and Henrik Thune, formerly of NUPI, now Deputy Director at NOREF, the role of dialogue in conflicts is addressed. ‘This year’s Nobel Peace Prize winner is an example of a national dialogue process that seems to have contributed to preventing a potential civil war in Tunisia,’ says Rieker. Major crises such as the Russo–Georgian war in 2008, the conflict between Western powers and Gaddafi’s Libya, arguments over Iran’s nuclear programme, religious tensions in Egypt after the Arab Spring, the Afghan case, the Sudanese experience and the recent Russo–Ukraine conflict: all these have employed dialogue as a means of conflict resolution. In Dialogue and Conflict Resolution all these cases are discussed, to explore in depth the role of dialogue in conflicts. The volume includes several contributions by other NUPI researchers as well. ‘In this book, we examine different types of situations in which dialogue has been seen as a tool for building reconciliation and understanding – optimally solving conflicts – between groups enmeshed in deep conflicts or crises’, explains Rieker. In particular, small states stress the importance of dialogue and mediation, according to Rieker’s introduction chapter. Rieker explains that the term ‘dialogue’ is used to describe more formal negotiations between two or more parties, as well as the more informal processes – ‘back-channel diplomacy’ – of communication between diplomats (often referred to as track 2 diplomacy). In addition, ‘dialogue’ is also used to describe various types of initiatives aimed at promoting dialogue between conflicting societal groups and constituencies, including broader processes of peacebuilding. ‘The findings from the first part of this volume provide a clean-up with regard to the term “dialogue”, and an attempt to make a more clear division between different forms of dialogue. In the second part we show how dialogue, in various forms, can be used as a political instrument in conflict resolution’, says Rieker. In their concluding chapter, the editors identify lessons learnt for future policymaking. ‘Many of our observations show that dialogue is important and can contribute in a positive way. However, it may be less determining than one thinks. Also, dialogue seem to have greater chances of succeeding if organized by a third party with adequate knowledge of the conflict in matter’, Rieker explains. Whether the dialogue process takes place in a framework of secrecy or openness can also affect the result, depending on the context. In addition, the researchers stress the importance of a bottom–up approach. ‘Dialogue seems to be more efficient in preventing conflicts, than in solving them’.